Five bills approved by the Senate Transportation Committee Wednesday would impact or hinder a private company's plans to build a bullet train from Dallas to Houston. The Texas Senate's transportation committee sent to the full Senate on Wednesday five high-speed train bills, some of which could impact or hinder a private company's plans to build a bullet train from Dallas to Houston. The bills collectively would prevent lawmakers from allocating any state funds to the controversial project, require Texas Central Partners to build the line in a way that would allow multiple types of trains to run on it and force the company to offer land acquired for the project back to the previous property owners if the project doesn’t come to fruition. At Wednesday's hearing, several senators on the Senate Transportation Committee and a group that formed in opposition to Texas Central's project portrayed the legislation as protections for taxpayers and landowners. “They offer sensible regulation,” said Ben Leman, chairman of Texans Against High-Speed Rail. But Texas Central, the company building the 240-mile line, said some of the bills unfairly target only the firm's project. And a rail advocacy group said the bills discriminate against a potential new mode of transportation in a car-centric state that perpetually struggles with urban road congestion. “This is a belt that would bind the state in ways that I think would foreclose innovation and are not directed specifically at the Texas Central project,” said Chris Lippincott, executive director of Texas Rail Advocates. Texas Central plans to build a line from downtown Dallas to northwest Houston within the next several years. It promises to speed passengers between the two cities in 90 minutes on train cars that travel up to 205 mph. It has also vowed not to take any state funds for the project, though it may apply for some federal loans. The project has drawn strong support from officials in Dallas and Houston while whipping up opposition from people in largely rural communities along the route. One of the biggest points of contention surrounding the project is Texas Central’s claim that it can use eminent domain to obtain property for the project. Some opponents disagree with how the company interprets state law regarding private railroad companies that are allowed to condemn and buy land for public uses. But the company is standing by its assertion. “When anybody takes your land, that’s a high order,” said state Sen. Lois Kolkhorst, R-Brenham. Schwertner authored two of the other bills passed Wednesday. Senate Bill 977 would forbid lawmakers from allocating any state funds to a privately operated high-speed rail project. It would also prohibit any state agencies from using state money on the planning, construction or operation of a bullet train line. But Schwertner on Wednesday presented a memo from TxDOT government affairs director Jerry Haddican. The letter said the state agency should still be able to answer questions from Texas Central, review and provide advice on the company’s plans and build state roads and highways that connect to development around high-speed rail stations under Schwertner's budget rider. Texas Central president Tim Keith said Wednesday that the memo “was received well” after he “quickly” reviewed a copy of it but the company did not formally change its position on Schwertner's bill. Kolkhorst’s Senate Bill 981 would require Texas Central's line to allow for more than one type of train technology. Texas Central currently only plans to allow for one type of train on its tracks. 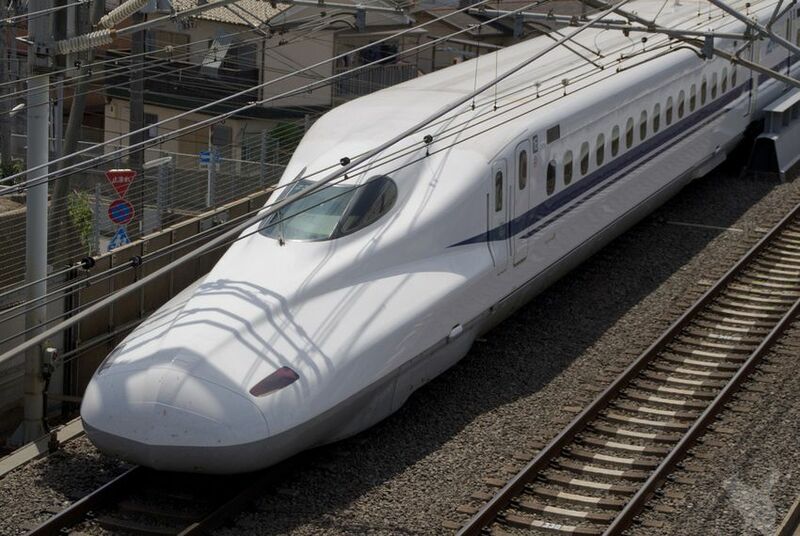 It is partnering with Central Japan Railway, the company that developed the technology for the Shinkansen bullet trains that run throughout Japan, for the Texas line. Disclosure: Texas Central Partners and Chris Lippincott have been financial supporters of The Texas Tribune. A complete list of Tribune donors and sponsors can be viewed here.